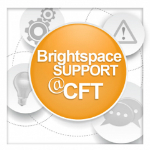 Brightspace utilizes several optional tools for various functions. This page describes these tools and highlights any pertinent news. 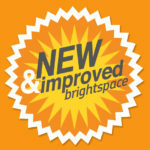 If you have any questions about using these tools, please contact Brightspace Support at brightspace@vanderbilt.edu. Kaltura A media tool that allows you to upload large video files for students to stream, create video quizzes, and create screen recordings. Course Reading List Tool (CRLT) A tool that allows you to create, access, and manage course resource lists. For help with this tool, contact your reserves librarian. Respondus LockDown Browser A custom browser that locks down the testing environment within Brightspace. This prevents students from copying, printing, accessing other applications, or visiting other websites during a quiz or exam. TopHat A tool that allows you to leverage students’ devices to take attendance, launch discussions and questions, and get real-time feedback. Turnitin A tool that helps prevent plagiarism and provide feedback on student document submissions. An update of Respondus 4 has been released: version 4.0.8.00. This update includes a user interface “facelift”. Everything works the same as before, it’s just prettier to look at. This update also includes some minor bug fixes. Turnitin: Update your browser and prepare for TLS 1.2. 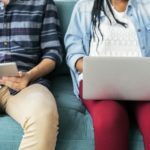 Turnitin uses Transport Layer Security (TLS) to securely transfer data between your computer and our servers. To ensure that we’re using the latest security protocols, we’re removing support for TLS versions 1.0 and 1.1 on December 31, 2018. To prepare for this change, simply make sure your browser version is up-to-date. If you aren’t sure how to do that, you can check using this site.